Schmidt capless rollerball refill with metal tube and front section, stainless steel tip with 0.7 mm ceramic ball. Schmidt capless rollerball refill with metal tube and front section, stainless steel tip with 0.6 mm ceramic ball. 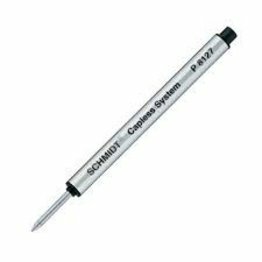 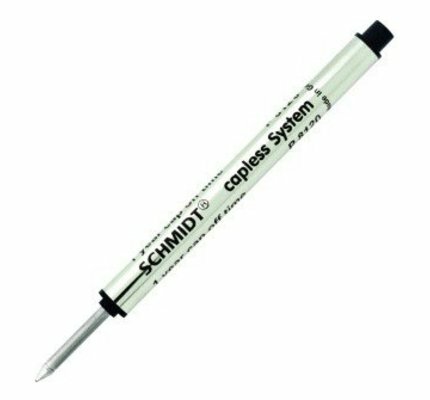 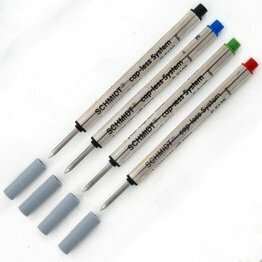 Schmidt capless rollerball refill with metal tube and front section, stainless steel tip with 1.0 mm ceramic ball. Schmidt Safety Ceramic RollingBall refill with plastic tube, stainless steel tip with 0.6 mm, 0.7mm, or 1.0mm ceramic ball. Schmidt reservoir based refill with metal tube and stainless steel front sectionextruded spring loaded 1.0 mm writing nib in a metal adaptor. 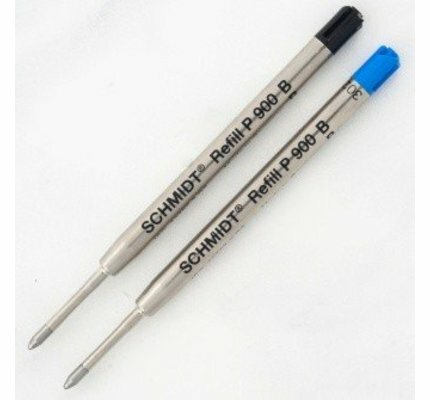 Schmidt Safety Ceramic RollingBall refill with metal tube, stainless steel tip with 0.6 mm, 0.7 mm, or 1.0 mm ceramic ball. 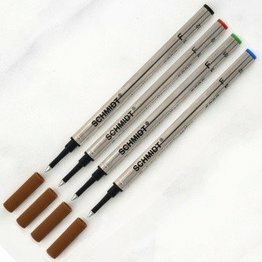 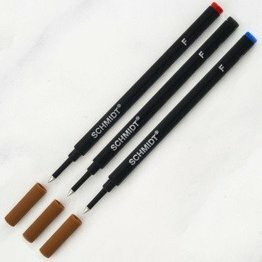 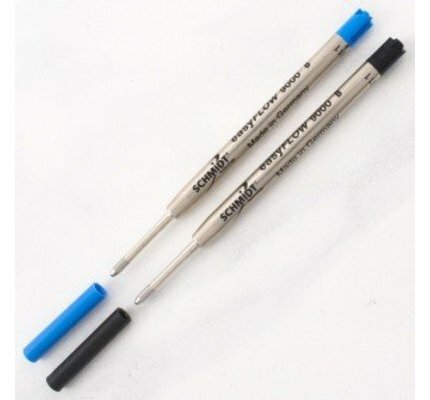 Schmidt Safety RollingTube refill with metal tube and stainless steel needlepoint tip with 0.5 mm TC ball. 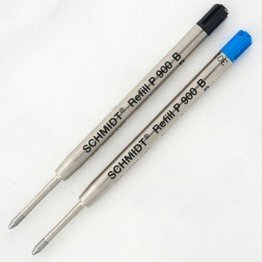 Schmidt G2 refill with stainless steel tip with TC ball. Schmidt Easy Flow 9000 Refills are available for on-line purchase from Dromgoole's.